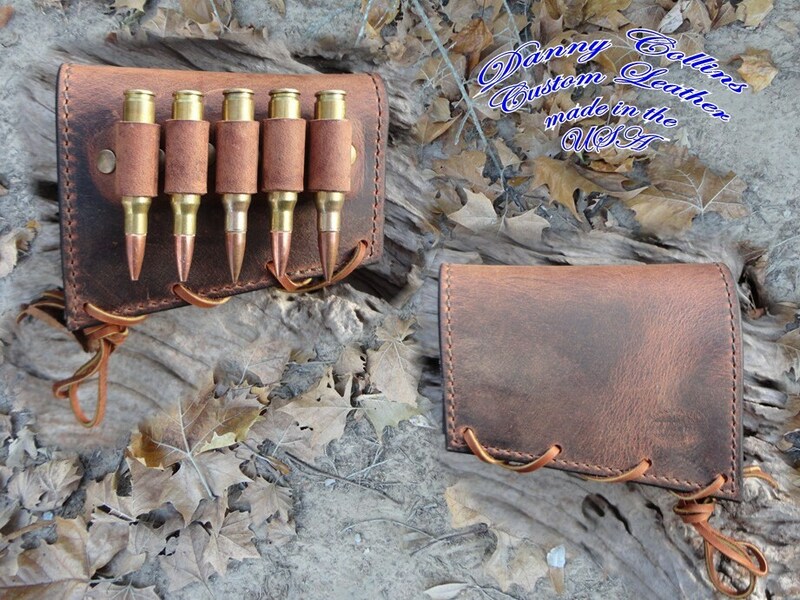 These ammo sleeves are made here at my shop in S.E Oklahoma. They are made from the finest buffalo leather available giving them a vintage look and feel. These sleeves will fit 223/243/30-06/308 and other rounds with the same or similar sized casings. Also available for other calibers and for left hand shooters upon request. Sleeves are lined with American made Veg tanned leather. When ordering you might consider matching one of these sleeves with one of my custom buffalo rifle slings.